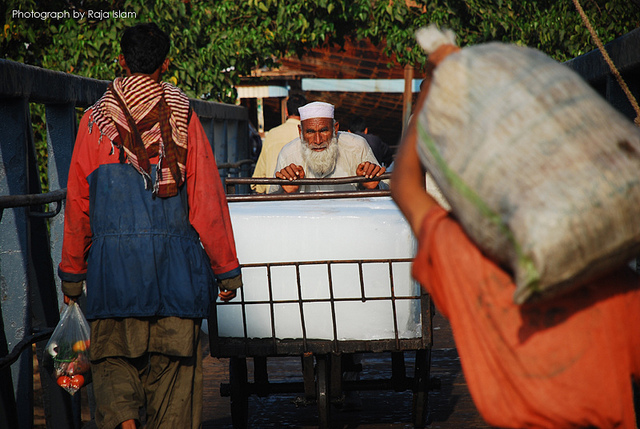 KARACHI, Pakistan - As the temperature approached 100 degrees Fahrenheit civilians struggle to stay dehydrated. Now that temperatures have surpassed 112°F or 45°C people are dying in the streets. This heat wave is one of the highest recorded temperatures since another deadly heat wave overtook the country 15-year-ago. With people staggering through the streets, those who are clear minded take refuge in hospitals, shops, or covered markets, while the morgues and cemeteries continue to fill. Over 1,100 people have died, with an additional 14,000 being treated at hospitals around the city. Many civilians have collapsed in the streets because of the heat, and may lay prostrate for hours before being discovered. Under any circumstances a heat wave is an unfortunate natural disaster, but the timing of this heat wave coincides with Ramadan, a time when Muslims fast, abstaining from both food and water from sunrise to sunset. Although older people, the infirmed, and pregnant or nursing women are allowed an exemption from fasting, heat exhaustion and strokes remain a source of danger to this segment of the population despite the dispensation. With the death toll increasing daily, morgues have become full to overflowing. CNN interviewed a grave digger at one of the city’s central graveyard. He says that because of the growing number of dead he is having trouble “finding places to bury them” and thus has resorted to making graves between graves. Thus, the unfortunate confluence of the summer heat and the most pervasive infrastructure failure in recent history has resulted in a death toll exceeding 1,100s. Though temperatures seemed to have abated somewhat many more are predicted to die, especially the poor, the young, and the old remain most vulnerable. Those who were affluent or fortunate enough to own air conditioners or fans stand a chance of staving off heat prostration, but these isolated opportunities to survive this natural and man-made disaster remain few and far between and utterly inaccessible to the general public. The people of Karachi and even the Taliban blame the government and K-Electric for the majority of the deaths; and those who have strength and energy enough have begun to protest and demand justice for those who have died.